A completely natural source of short & long chain humic acids that work together to maximize plant performance and increase yields. Discover how one of nature's oldest secrets can benefit your high-value plant's growth, enhance feeding, stimulate root branching, boost enzyme function, and maximize cellular metabolism. Plus so much more. Scientists Discover Ancient Volcanic Rock Guaranteed To Enhance Plant Growth And Maximize Your Bloom Phase! Sometimes, the best plant maximizing formulas are 100% organic… millions of years old… and they’re not popular or well-known in our country. When the scientists at Advanced Nutrients first heard of a rare volcanic rock with plant potentiating properties, they traveled deep into the remote mountains of Eastern Europe to research it. 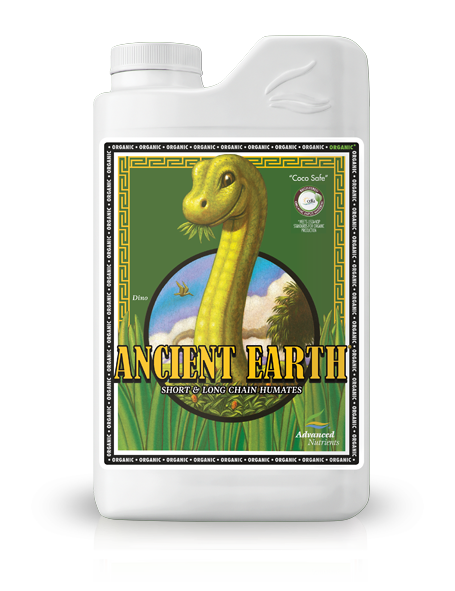 Leonardite is a volcanic rock that over centuries has absorbed many essential nutrients plants need to grow big, strong and more plentiful. In fact, this dark, rich material contains millions of years of natural proteins, vitamins, and other unique plant growth elements found nowhere else. Over the years, the art of processing leonardite has been perfected so it yields two types of liquefied “acids” that supercharge hydroponics plant growth and blooming while protecting them from stresses and disease. Not All Forms Of Leonardite Are Created Equal! Because different deposits of this volcanic rock vary greatly around the world, and they each have different levels of natural plant benefiting elements. For example, some extracts like “Idaho Blonde” produce mostly fulvic acid and others produce higher amounts of humic acid. And many others give out different levels of quality, so depending on the type of formula you’re creating you have to source and develop different veins of leonardite. You see, humic acid provides natural carrier compounds that transport nutrients and vitamins into your plants more efficiently, so your plants growth is enhanced. Yes, all these benefits and much more are easily experienced when you put humic acid to work in your garden. This comprehensive plant maximizing breakthrough can be used from start to finish in your garden because it guarantees vitality in seedlings and clones, enhances floral development, and assists in more efficient utilization of nutrients and vitamins. A seven-step extraction process is used to develop the fulvic acid that directly feeds plant cells, roots and leaves to produce bigger, more aromatic flowers. What’s more: it’s golden clear and is the purest fulvic available. We’ve seen other companies trying to make and sell fulvic acid, but testing shows their fulvic formulas just can’t match the purity, quality and potency of this seven-time extracted brew. In fact, this golden fulvic acid has been competitively tested against other products and was found to better promote nutrient absorption, nutrient transport, and more cellular metabolism than any other fulvic extract. All this, of course, means you get one of the purest, most potent, freshest and most effective fulvics available for protecting your plants, strengthening their growth, and maximizing their growth phases. With Ancient Earth® Organic OIM, you never have to worry about synthetic ingredients or inorganic contaminants sneaking in, because it’s 100% Organic OIM certified. You might know this already, but other companies may claim to have “organic” products, yet they’re not registered with the Organic Input Material (OIM) Program — the highly coveted, highly regulated program run by the California Department of Food and Agriculture that certifies organic fertilizers and supplements to be used in organic crop and food production. This is incredibly important, because the high-value plants you grow are meant for human consumption. That means, if you’re claiming that your crops have been grown with 100% organic fertilizers and supplements, it’s your responsibility to ensure that it’s true. Because your consumers health is in your hands. 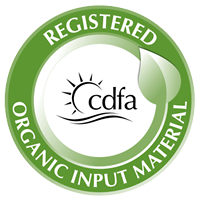 And when you grow with Organic OIM-certified products like Ancient Earth Organic OIM, you have that assurance you can pass onto consumers. Advanced Nutrients is world-renowned for our integrity and commitment to you, the grower. Because Advanced Nutrients was built by growers for growers, we treat you exactly the way we would like to be treated. That’s why we stand behind Ancient Earth Organic OIM(and all our products) with our world-famous 100% Money Back Grower Guarantee. 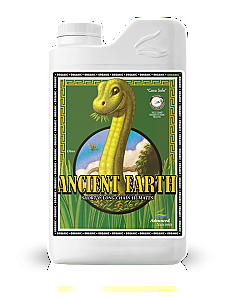 Here’s how it works: If for any reason you are not absolutely thrilled with Ancient Earth Organic OIM, just bring the unused portion, along with your original sales receipt, back to the place of purchase within six months, and ask for all your money back. It’s that simple. That’s right, Ancient Earth Organic OIM absolutely must live up to all your expectations, or you get every single penny of your money back. That’s our solemn promise to you, our fellow grower. 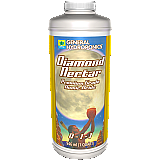 Because Ancient Earth Organic OIM is 100% guaranteed to work for you, you risk nothing trying it out in your garden today. First, you should already be using a good fertilizer and base nutrient formula with your plants. And of course, both these acids are 100% Organic OIM. Next, simply go to your favorite retail shop that carries Advanced Nutrients products and tell them you want to try out Ancient Earth Organic OIMabsolutely risk-free. Then watch in amazement as you see your plants grow vibrantly and launch into peak bloom phase beautifully! The only thing left will be answering all your friends’ questions about what you’re doing when they want to know how you got such amazing results from your organic garden. And with the knowledge in this report you can look forward to educating them on everything you’ve learned about these ancient plant growing secrets and how you were smart enough to use them too!